Teaching Position: Professor of History, University of Nevada Las Vegas. Area of Research: U.S. West, American Thought and Culture, Late Nineteenth- and Twentieth-Century U.S., Historiography. Education: Ph.D., American Intellectual History, Ohio University, June 1991. Award for Contemporary Western Non-Fiction), The End of American Exceptionalism: Frontier Anxiety from the Old West to the New Deal (1993), along with numerous articles and essays. He is the co-editor of Seeing and Being Seen: Tourism in the American West (2001); and Many Wests: Place, Culture, and Regional Identity (1997); and editor of a Special Issue of The Historian, “;The West Enters the Twenty-First Century: Appraisals on the State of the Field” (Fall 2004).” He is currently working on two book projects Global West, American Frontier: Travelers’ Accounts, 1840-2000 (Calvin Horn Book Series, University of New Mexico Press; manuscript to be submitted in summer 2007), and The Rebirth of American Exceptionalism: The Cold War, the West, and the Frontier Revival (sequel to The End of American Exceptionalism). Also Wrobel is working on a an edited book project Friedrich Gerstäcker’s West: A German Traveler on the Nineteenth-Century American Frontier (for Arthur H. Clark Company and University of Oklahoma Press). Haynes Fellow, Huntington Library, Summer 1990. 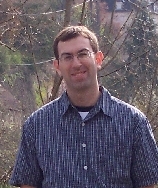 Formerly Associate Professor of History (1998-2000); Chair (Fall 1997-Fall 99); Assistant Professor (1994-98), Widener University, Visiting Assistant Professor of History, Hartwick College (1992-94), and Visiting Assistant Professor of History, College of Wooster (1991-92) and Visiting Instructor (1990-91). Wrobel is the incoming Vice President (beginning 2007) and President Elect (2008) of the American Historical Association’s Pacific Coast Branch, and is currently Chair of the Western History Association’s (WHA) Membership Committee. He has also served as President of Phi Alpha Theta, the National History Honor Society (2004-2006), as a member of the Editorial Board of the Pacific Historical Review, and on various other professional nominating, program, book, article, and fellowship prize committees. 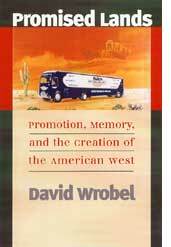 A dedicated promoter of partnerships between the academy and the schools, David Wrobel served as Co-Director of an NEH Institute for teachers on the West sponsored by the Center of the American West at the University of Colorado at Boulder (2001); he has been a faculty coordinator and core member for the Center’s Teaching American History (TAH) partnership with the Jefferson County, Colorado public schools since 2001; he co-directed a TAH summer institute on the West in Washoe County, Nevada (2003); and he has participated in the Clark County TAH institute (2005) and the NEH institute on the West for teachers in Laramie, Wyoming (2006). Since graduate school I’ve taught a wide range of courses including: Early American Thought, Modern American Thought, American thought and Culture in the 1920s and 1930s, and American Thought and Culture in the 1950s and 1960s, several courses on western American history and historiography, period courses on the Gilded Age and Progressive Era, US: 1920-1945, and Recent America, historical methodology for undergraduates, the US history survey, and even Colonial and Modern Latin America. I’ve also taught at a wide range of institutions: as a Visiting Assistant Professor at The College of Wooster in Ohio and at Hartwick College in upstate New York, in a tenure-track position at Widener University, and currently at the University of Nevada, Las Vegas, where I am a Professor in the History Department. I’ve also served as a Visiting Scholar at the Center of the American West at the University of Colorado, Boulder (1999), and as Senior Research Fellow in Western American History at the Beinecke Library and Howard Lamar Center for the Study of Frontiers and Borders at Yale University (2005-2006). The experience of offering a broad array of classes and spending time at very different academic institutions has proven invaluable. The one piece of advice I would offer to young historians in their first academic positions is to pay close attention to the listing of courses. In my second semester at The College of Wooster, back in 1991, I offered a course titled “The American West: Myth and Reality,” which was mis-titled in the Student Course Catalog as “The American West: Myth and Realty.” A single letter can make a real difference. A good number of business and economics majors signed up for the course and were quite disappointed to learn that the course had little to do with real estate values in the West. I suppose there’s some irony in the fact that my second monograph, Promised Lands: Promotion, Memory, and the Creation of the American West (Lawrence: University Press of Kansas, 2002), does actually deal quite extensively with methods of land promotion in the late nineteenth and early twentieth centuries. I guess I too have become something of a promoter — of historical organizations. My service to the history profession includes a term as President of Phi Alpha Theta, National History Honor Society, Inc. (2004-2006); I am currently Vice-President and President-Elect of the Pacific Coast Branch of the American Historical Association; and I have just been elected to serve a 3-year term on the Council of the Western History Association, an organization that I also serve in the capacity of Chair of the Membership Committee. I’ve also served on numerous book, article, and fellowship prize committees, and on the Editorial Board of the Pacific Historical Review. These historical organizations that are so vital to the health of the profession are also quite easy to take for granted, and so I would urge young historians to seek service in the organizations in which they are members. My promotional endeavors also extend to the arena of teacher partnerships. I’m quite heavily involved in building partnerships between college and university teachers and K-12 teachers through NEH and TAH-funded programs. The question I find myself asking again and again is: “Will these partnerships still exist if the TAH funding dries up?” My hope, of course, is that we are building the foundations for healthy long-term collaborative efforts with the school districts that surround our colleges and universities. We are developing Master of Arts in Teaching History programs, conducting summer workshops and institutes, and generally developing a better sense of how we can help K-12 teachers and learn from them. I’m currently looking forward to my courses on the “Progressive Era” and “Regionalism and the American West” this spring, to my work this summer with the TAH grant in Jefferson County, Colorado (a partnership between the school district and the Center of the American West), to finishing my current book project, “Global West, American Frontier: Travelers’ Accounts, 1840-2000,” and to beginning my new book project, “The Rebirth of American Exceptionalism: The Cold War, the West, and the Frontier Revival” (a sequel of sorts to my first book, The End of American Exceptionalism: Frontier Anxiety from the Old West to the New Deal (Lawrence: University Press of Kansas, 1993). 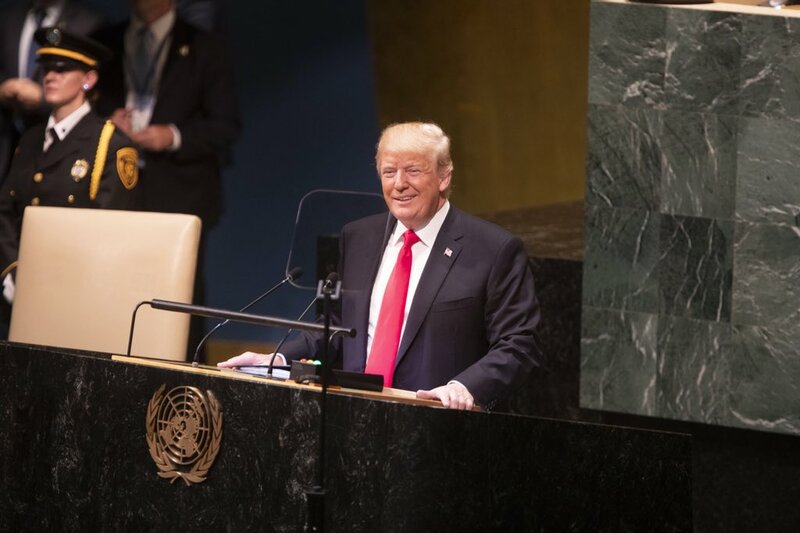 “The great drama of the West became just the first of many stories of national exceptionalism that have sprung up because the nation needed them, and they have proven hard to purge from the national consciousness for the very same reason. We should include among these stories that of the Progressive era as an age of purely altruistically motivated reform, the absolute antithesis of (and corrective to) the Gilded Age; the story of the 1920s as a happy, colorful, carefree interlude; the Great Depression as a triumph of American cooperation, compassion, and perseverance; World War II as “the Good War,” with a wonderfully unified home-front; and the Civil Rights Movement as a great redemptive moment, a triumph of integration marked by a healthy national recognition of the country’s shortcomings in the arena of race. All of these memorable episodes were far messier, their contours less clearly, less dualistically defined, than the national collective memory has imagined. None of them were quite the great morality plays and triumphs of America’s better angels that the nation has remembered them to have been. Within the space of about thirty years, each of these purposeful interpretations of the past came to be questioned by professional historians; but like the story of the West and American exceptionalism, all continue largely intact in the broader public consciousness, despite the weight of scholarly reservations.” — David M. Wrobel, Phi Alpha Theta (National History Honor Society) Presidential Address, “Exceptionalism and Globalism: Travel Writers and the Nineteenth-Century American West,” published in “The Historian,” Vol. 68 (Fall 2006): 431-460, delivered at the Biennial Meeting, January 5, 2006. Teaching Position: Professor of History, Department of History, The Ohio State University. Major Publications: Cornell is the author of A Well Regulated Militia: The Founding Fathers and the Origins of Gun Control in America and The Other Founders: Anti-Federalism and the Dissenting Tradition in America, 1788-1828 voted a Choice Outstanding Academic Book for 2001 and winner of the triennial Society of Cincinnati prize for the best work on the Revolutionary era. He has also published Whose Right to Bear Arms Did the Second Amendment Protect? Bedford Book’s “Historians At Work” series. He is the editor of Retrieving the American Past: Documents and Essays on American History, (Pearson, 1994-2005), and the forthcoming Guns in American Law and Society: An Interdisciplinary Reader (University of Massachusetts Press, forthcoming, 2007) He has written articles in the Journal of American History, American Studies, William and Mary Quarterly, William and Mary Law Review,Constitutional Commentary, and others. His book reviews have appeared in the Journal of the Early Republic, Reviews in American History, and many others. Prof. Cornell is currently writing a section of a new textbook, American Visions: A History of the American Nation, (Pearson, under contract, with Ed O’Donnell, and Jennifer Keane). The Dean’s Award for Distinguished Teaching at the University of Pennsylvania and the Colonial Daughters of Pennsylvania Prize in Early American History. Society of the Cincinnati, History Book Prize, Triennial Award for the Best Book on the American Revolutionary Era, (2001); Choice Outstanding Academic Book, (2000) all for The Other Founders: Anti-Federalism and the Dissenting Tradition in America, 1788-1828. NEH Post-Doctoral Fellow, Institute of Early American History and Culture (1989-1991). Formerly Assistant Professor, Department of History, College of William and Mary (1989-1991). Cornell has appeared on C-Span2’s Book TV, NPR and The Newshour with Jim Lehrer on PBS. He is also on the Editorial Board of “American Quarterly.” He has delivered invited lectures at Oxford University, Columbia University, Duke, NYU Law School, UCLA Law School, Stanford Law School, and Vanderbilt University Law School. 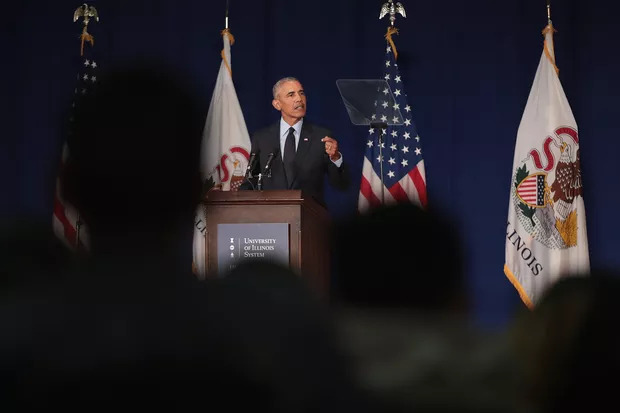 He has presented papers at meetings of the American Historical Association, the American Society of Legal History, the American Studies Association, the Organization of American Historians, and many others. 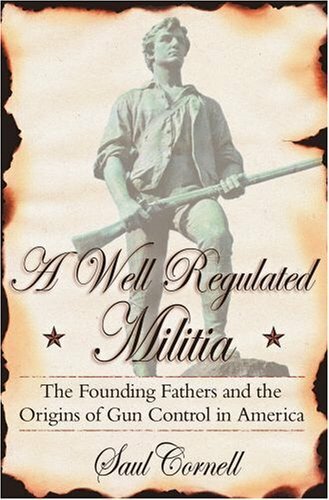 One of the most interesting venues to try out the ideas in my new book, A Well Regulated Militia was provided by the NRA Institute for Legislative Action and the Students for the Second Amendment at George Mason Law School (now a wholly owned subsidiary of the NRA.) I was invited to talk at their first ever Firearms Symposium. (I am still waiting for my invitation from the Jews for the Preservation of Firearms symposium: From AKs to AK-47s.) As you might expect the demographic of the GMU event was sort of the opposite of the Berks. (Berkshire Conference of Women’s Historians). Indeed, I recall one person attacking toy stores that refused to stock toy guns. These guys, and it was mostly guys, were not only against gun control, they were against toy gun control. I began my talk by describing my situation as akin to that of a priest at his first Bar Mitzvah. Picking up on this theme during the question and answer session one member of the audience wanted to know why Jews were against guns (he obviously had never hung out with the aforementioned Jews for the Preservation of Firearms.) I explained that I did not think religion or ethnicity explained very much about attitudes towards guns. Indeed, I speculated that in Montana, all of the Jews, all six of them, were probably very heavily armed—they would have to be I would think. Since the publication of my book I have done a fair number of radio interviews and what is most fascinating about these is the mirror they provide on popular perceptions of history and constitutionalism. Invariably, most callers are ardently pro-gun rights. Pro-gun control people seem to have other things to do with their time and don’t do a lot of talk radio. I hope that my new book can help both sides in the debate understand the complex history that has led to our current impasse on this issue. Needless to say I would not urge anyone to venture into this contentious arena unless you have a very good sense of humor—it has proven almost as valuable as the special Kevlar edition of my book.